This is one of the major reasons we lay more emphasis on creating a CWM recoveryon your new Android device should in case it get bricked, you’ll have something to bounce back to called back up. I’ll just quickly show you a simple way on how to create CWM Recovery on yourAndroid deviceto those who don’t already know this. This first method may not be compatible on all Android devices. 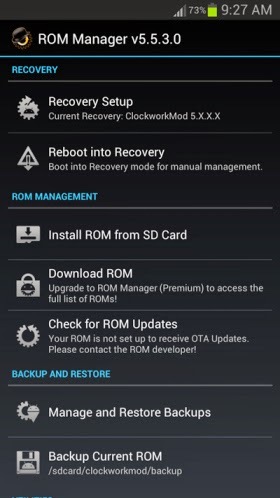 To install theClockworkmodon your android phone without the need of a PC , you can use the Rom manager app. 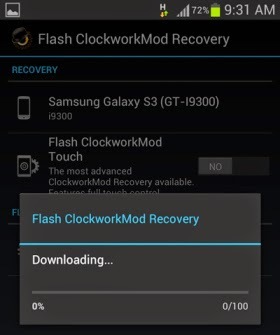 You don’t need to download theClockworkmodrecovery as the ROMmanager app can download the specificClockworkmodrecovery according to your Android phones make and model. ==>Step 1:Install ROM Manager(get it on google play) on your Android device and Run it . ==>Step 2:SelectRecovery setupfrom the ROM manager app. 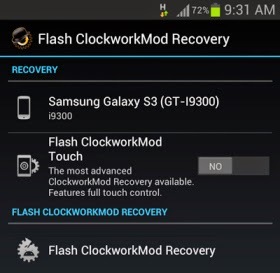 ==>Step 3:UnderInstall or update recovery, tap on ClockworkMod recovery .